Hanergy has been the subject of numerous speculation on how a company with meager earnings and revenue can become the most valued solar company with a crazy high market capitalization. The Hong Kong listed company did not have any competitive advantage that allowed it to earn high revenues and margins. It had bought 3-4 bankrupt thin film solar panel companies in the USA and Germany but that was its only claim to fame. 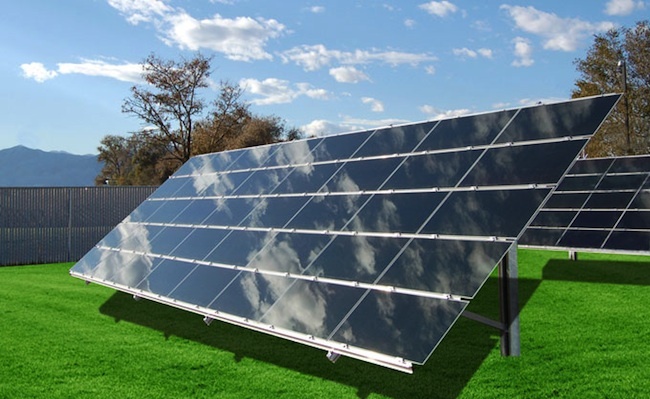 Thin film technology is facing huge challenges from the major advances made by crystalline silicon solar panel technology which has made relentless advances in cost and efficiency. Even the biggest thin film technology player First Solar has been forced to play catch up as it was not able to compete with the super low costs of the giant Chinese solar companies like Trina Solar, Jinko Solar, and Canadian Solar. Also, read about Major Thin Film Companies in the World! Hanergy had made grandiose plans of operating multiple thin film solar panel producing factories as well large scale EPC projects. However, its high flying CEO was forced to bail since the HK authorities banned trading of its shares in 2014 after the company was convicted of share price manipulation. After 2 years, Hanergy is trying to make comeback. It announced it would build a thin film solar panel production in Datong which is a Chinese city famous for coal production. The company certainly does not have much money as it will put up just 20% of the equity, while Datong Coal Mine will hold 50%. The city government will hold the remaining 30%, according to the local planning bureau. Note these kinds of announcements are not a harbinger of better times for Hanergy as LDK and Suntech kept on making major billion dollar deals with Chinese cities even very near to their bankruptcy. What is even funnier is that the FT article quotes a Datong city official saying they had no discussions with Hanergy. The Chinese corporate scene is very opaque and mixed up with politics. Nobody knows who is in with the government /Communist party and who is out. The more things seem to change the more they remain the same!